Liverpool vs Everton Live Streaming EPL Score EVE v LIV: We have the 30th match day of the Premier league as the International break finally comes to an end and we won’t have another one for 158 days. 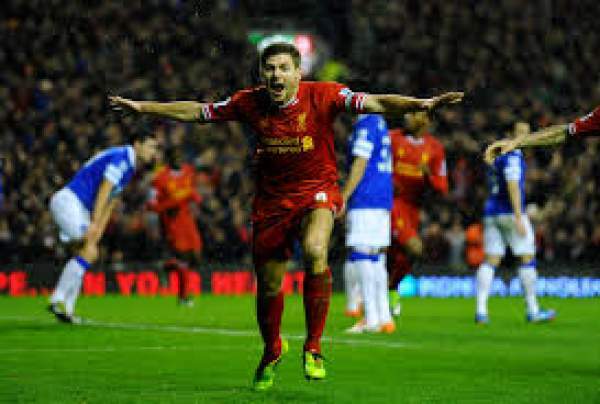 It is the Merseyside derby as Liverpool hosts Everton at Anfield for the game. Liverpool are currently fourth on the table with 56 points from 29 games, one point below Manchester City and four points above Manchester United. On the other hand, we have Everton who are seventh on the table with 50 points from 29 games, below on goal difference from Arsenal and seven points above West Bromwich Albion. 01st April 2017 at 17:00 (IST). Daniel Sturridge remains injured but skipper Jordan Henderson could return. Liverpool are fourth on the table with 56 points from 16 wins, eight draws and five losses, scoring 61 goals and conceding 36 goals in total. They have scored the most number of goals in the league this season, Chelsea follows them with 59. Watch: Chelsea vs Crystal Palace. They are unbeaten in the last 12 league games with Everton, winning five and drawing seven games. Sadio Mane is their top scorer with 12 goals, Roberto Firmino has nine goals to his name with Milner and Lallana having seven goals each. Liverpool have won three games, drew one and lost one in their last five league games. They played against Manchester City in their previous game of the league and drew the game by 1-1. Everton have been trying their best to get into the top five, they are currently seventh on the table. They have won 14 games, drew eight and lost seven games, scoring 51 goals and conceding just 30 goals. One of their strong players Seamus Coleman got injured playing for Northern Ireland in the international break and won’t be returning this season with a broken leg. Watch Manchester United vs West Bromwich Albion. They have won three games, drew one and lost one in their last five games in the league. They played against Hull City and won the game by 4-0 in their previous league fixture. Mignolet, Milner, Matip, Clyne, Klavan, Can, Wijnaldum, Lallana, Mane, Firmino, Coutinho. Being the Merseyside derby, emotions are involved and no team wants to lose. Stay tuned to TheReporterTimes.com for latest Premier League news and other Football updates around the globe. Don’t forget to share it on social networking sites.